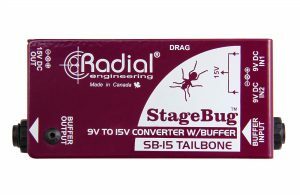 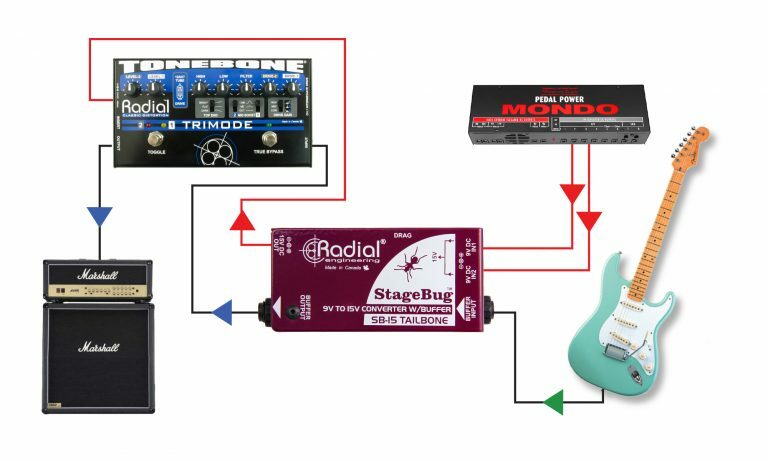 The Stagebug SB-15™ is a class-A signal buffer designed to sit at the beginning of the signal chain and drive multiple pedals without added noise or signal loss. 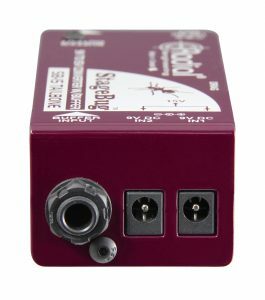 It also converts two 9V power outputs to a 15V supply as an alternative way to power Radial and Tonebone 15V products. The SB-15 is an ultra-compact signal buffer that is pedalboard friendly, with transparent operation that maintains the natural tone of your instrument. Unlike many audio designs that employ ICs or integrated circuits to buffer the signal, the 100% discrete class-A design of the SB-15 reduces the need for phase-cancelling negative feedback produces a more natural and pleasing tone. 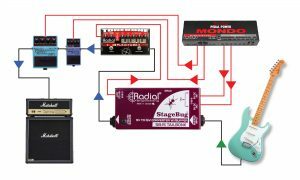 This is complimented by a Drag control load correction circuit to replicate the tone and feel as if connected directly to the amplifier. Once buffered, the signal is less susceptible to hum and buzz caused by radio interference and electromagnetic fields, and is then able to drive multiple pedals distances of 15 meters (50') without noise. 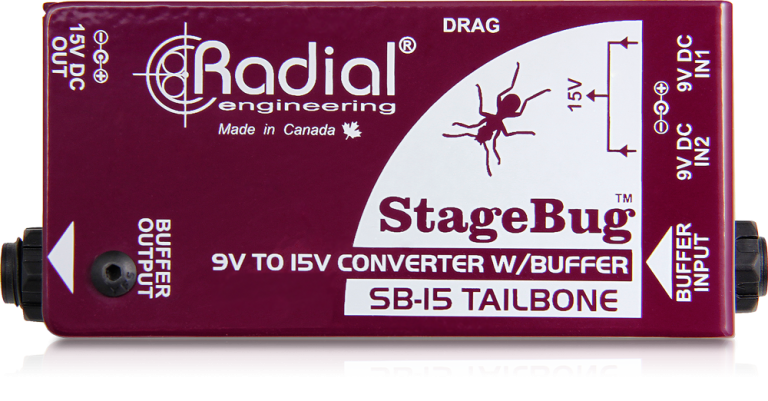 The SB-15 Tailbone is powered by a standard 9V supply (not included). As an extra bonus, when using a Tonebone pedal that requires 15V on your pedalboard, you can combine two 9V outputs from your power brick and the SB-15 will convert them to 15VDC and provide the correct voltage polarity. 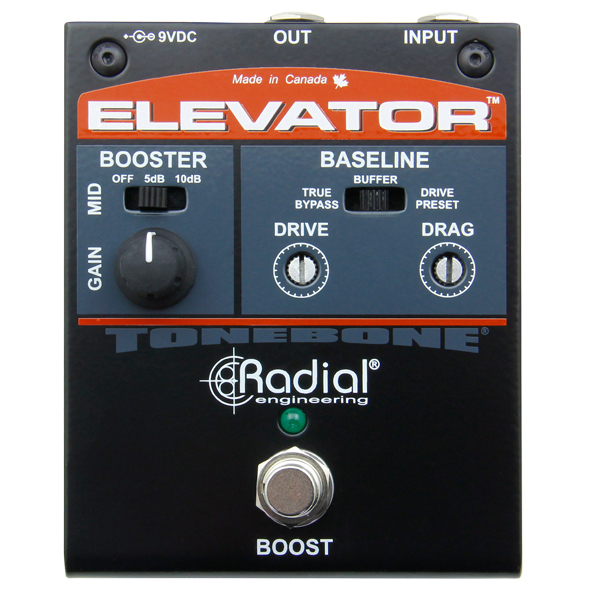 This makes adding a high-end Tonebone or Radial device to your pedalboard easy. The SB-15 corrects the load and lowers susceptibility to noise when driving multiple pedals and a distant amp. 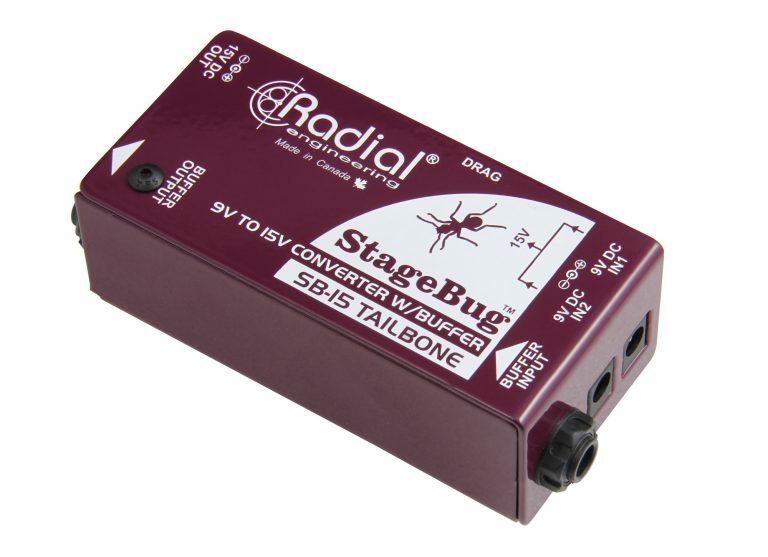 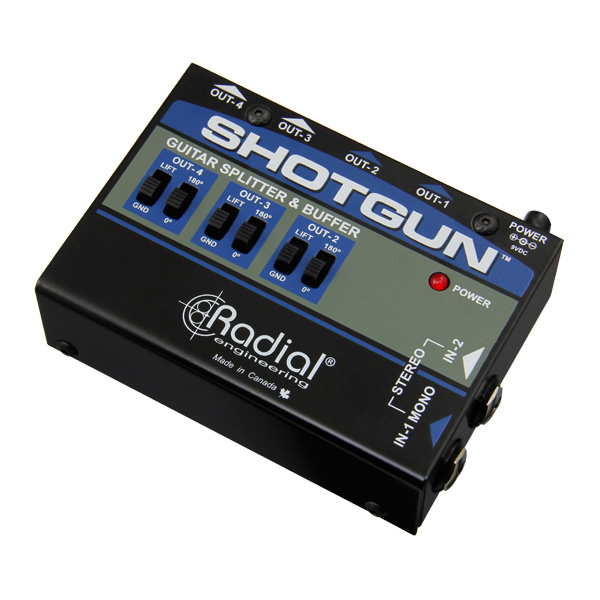 This makes the SB-15 an ideal front end for your pedalboard and guitar setup. 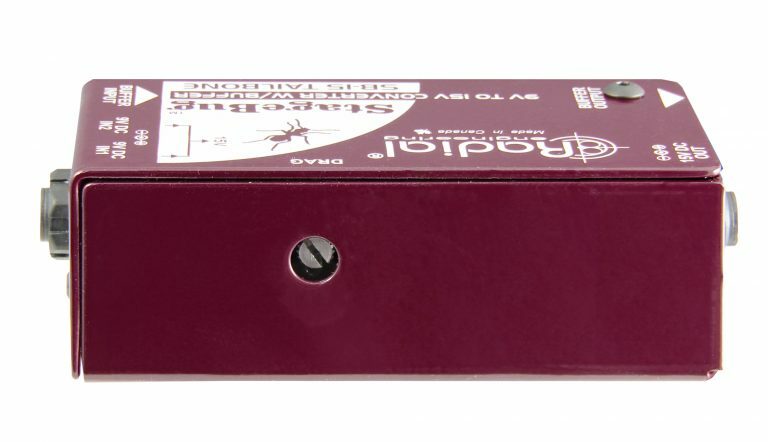 Most power bricks only have 9 volt outputs. 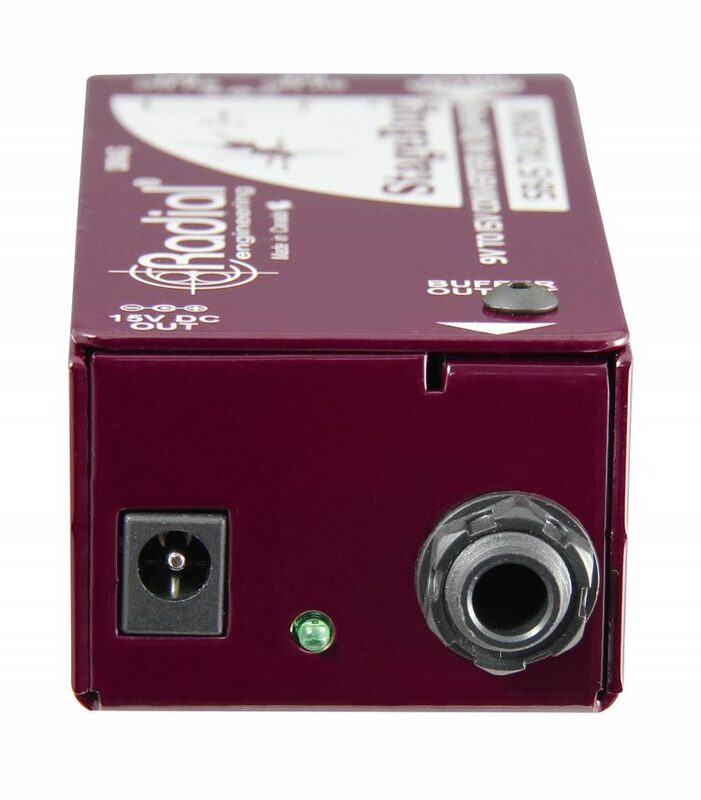 The SB-15 makes it easy to power your 15 volt Tonebone by using two 9V 400mA outputs. 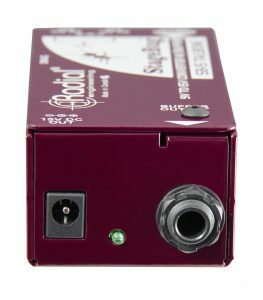 The SB-15 converts the voltage and polarity to suit. 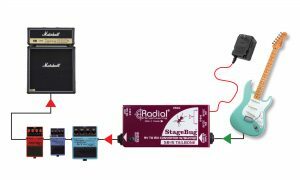 Use the SB-15 as the ultimate front-end for your pedalboard. Connect the SB-15 to your pedals and amp for less noise and a more natural tone. 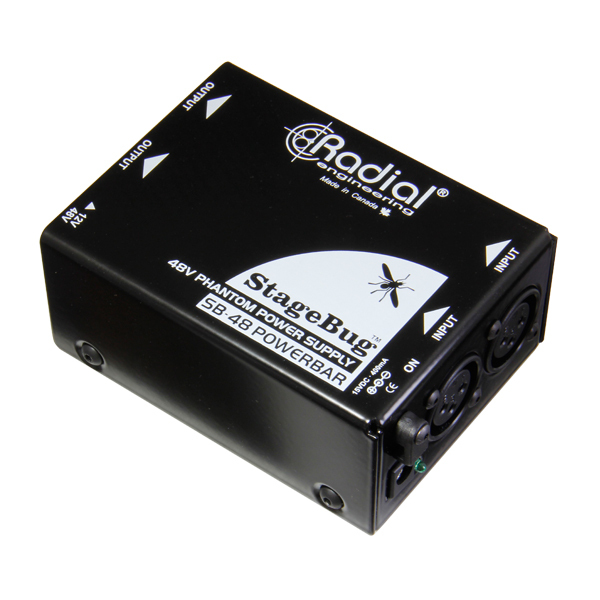 The Radial SB-48 is a phantom power generator that creates a stable 48 volt supply for active direct boxes and condenser microphones. 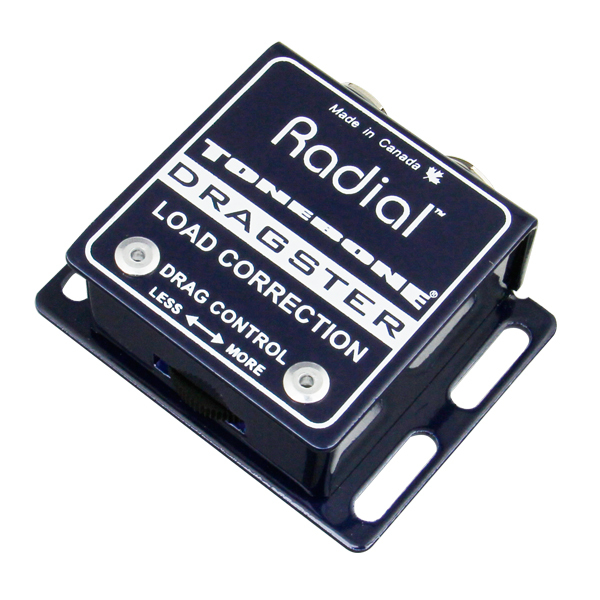 The Dragster is a super-compact load correction device that lets you adjust the load on your electric guitar pickup to make your instrument sound natural in the PA or when recording.